I’ve never been more excited to be a GNOME developer. After years of hard work and planning, GNOME 3 was released yesterday. 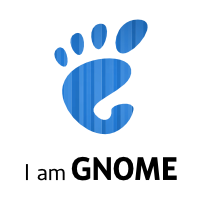 Check out the Introduction to GNOME from our brand-new help to learn all about it. GNOME 3 shows the innovation that open source communities can bring. Hundreds of developers, designers, writers, testers, and translators worked hard to deliver an amazing new user experience. Among them are the fantastic people who helped create an all-new help system that rivals anything I’ve seen elsewhere. My release notes list Phil Bull, Jim Campbell, Tiffany Antapolski, Natalia Ruz Leiva, Shaun McCance, Paul Frields, Mike Hill, Aline Bessa, Marina Zhurakhinskaya, and Kelly Sinnott. If I missed anyone, I’m really sorry. It’s hard to keep track of so much awesome. We tossed out the old manual (who reads those?) and started fresh with topic-oriented help, building on the dynamic Mallard language. The results are amazing. The initial release has 214 pages, carefully organized and cross-linked to help you find the information you need quickly and get back to your life. What is a workspace? Select files by pattern. Enter special characters. Frederic Peters did amazing work on library.gnome.org so all the new help is available online. But remember that all of this is available from the Help application on your GNOME 3 desktop. The help viewer was completely rewritten for GNOME 3, and I think you’ll really like what we’ve done. By the way, if you want to meet up and learn about GNOME’s fresh approach to help, you should come to the Open Help Conference this June. At least Phil, Jim, and I will be there, and we’ll be joined by documentation teams from other great open source projects. Help needs to constantly improve and evolve as we learn more about what our users need. The GNOME documentation team is already hard at work on more pages and revisions to existing pages. We’ll be pushing updates to the help weekly. If you want to get involved, subscribe to our mailing list and send an email to gnome-doc-list@gnome.org. We also welcome drive-by contributions. One of the really nice things about topic-oriented documents with Mallard is that it’s easy to just write up a page about something without worrying about making revisions to an entire book. If you love using GNOME, a great way to contribute is by writing a short page about an awesome time-saving trick. We’ll put these under Tips & Tricks, and users worldwide will learn something cool because of you.